Ever wanted to take a cross-country road trip but do not want to stay in a hotel? Looking for travel trailers for sale that can be hauled by small trucks or SUVs? If so then you need to head to Ewald’s Airstream of Wisconsin and see one of the many new and used Airstream campers for sale. 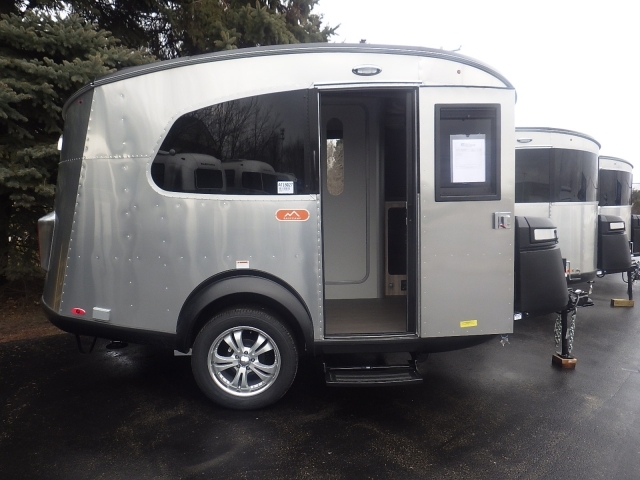 At Ewald’s we have everything from an Airstream Bambi trailers for sale like the Airstream Sport, to an Airstream RVs like the Airstream Interstate and so much more. Here at Ewald’s Airstream of Wisconsin, we understand that each person who comes to our dealership will have different wants and needs. Which is why we have a team of people who are happy to answer any and all questions you may have about one of the many Airstream travel trailers for sale here in Franklin, WI. That includes questions about the new Airstream Basecamp for sale at this Airstream dealer. 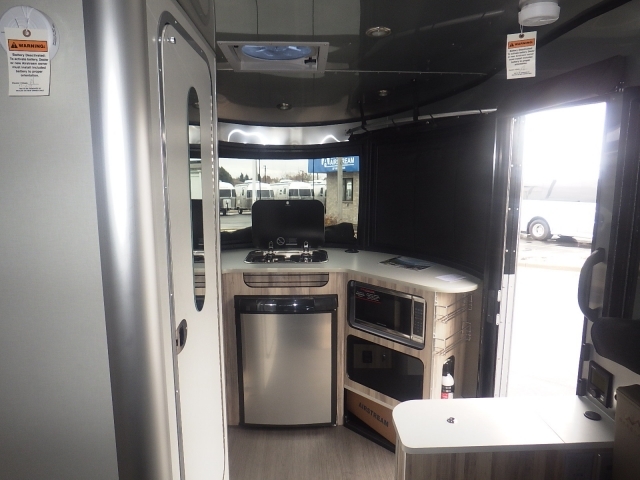 The Airstream Basecamp comes with many features both inside and out that you will not want to miss that will make your travel trailer feel like the perfect home away from home. Do not let the size of this Airstream for sale fool you, with plenty of hidden storage features you will be able to bring all the comforts of home with you. The Airstream Basecamp comes with panoramic windows that will bring the outside in and fill your trailer with light. Nature inspired colors, and light wood tones make this Airstream trailer the perfect travel trailer for anyone seeking an adventure. The Airstream Basecamp can comfortably sleep up to two people at a time making it ideal for a weekend getaway. A small kitchen with high-end appliances makes it a breeze to cook your food and space savers like a cutting board seek cover means ample space to prepare and serve your favorite meals. Make packing up this small camper a breeze with the extra wide rear hatch. Now taking your bikes and kayaks or other large items will be easier than ever before. Storage features through this entire Airstream travel trailer mean there is a place for everything and everything has a place. Stretch out even more with the attachable rear and side tents, that are airtight so you will not have to worry about bugs getting in. Never worry about being bored on a rainy day again because this Airstream Bambi trailer features all the technology you will want or need. This Airstream trailer for sale comes with lockable technology dock, and USB ports for easy charging and solar pre-wire kit prepare you for renewable power inputs. The Airstream Basecamp for sale is ready to take the path less traveled with an all-new design and roof-line. The Airstream Basecamp was designed for everyone to enjoy, small enough not to need a large truck but with enough space to feel at home. Plus with its compact size this Airstream trailer is a dream to haul, and with anti-sway technology along with its short body ( only 16’3”), everyone from a first-time trailer owner and tower, to a veteran trailer owner can drive it. Come to your local Airstream dealer in Franklin, WI and see the new Airstream Basecamp for sale. When you are looking for an Airstream for sale near you, come to Ewald’s Airstream of Wisconsin at 6269 S 108th St, Franklin, WI 53132.